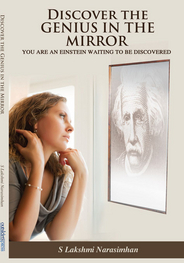 We are excited to present our very first book offering: Discover the Genius in the Mirror. It is your ticket to discovering your unmistakable genius. Would you not want to unleash the phenomenal potential and unique talents that you possess? Would you not want to unearth greatness in you? Would you not want to discover the genius in the mirror? Click the Buy from amazon.com link below NOW! Want to know why the author wrote this book? Click here for the e-interview conducted by Norm Goldman. Are you the Pilot or just a Passenger? Success is your choice. STOP looking externally for success and fulfillment. START mining that untapped mother lode of potential in yourself. Want to know what books the author is reading and are his favorites? Visit the author's Goodreads Profile here.